For the first time in two years, Samsung is expected to report a drop in quarterly operating profits when the company reports its fiscal fourth quarter results on January 8th. According to Reuters, data from the Institutional Brokers' Estimate System (IBES) shows that Samsung is expected to announce a 12% drop in year-over-year operating profits to the equivalent of $11.85 billion USD. Revenue will be 5% lower due to lower shipments of memory chips. Like Apple, which announced last week that it was lowering its revenue guidance for the fiscal first quarter that ended last month, Samsung is being hurt by poor economic conditions in China. 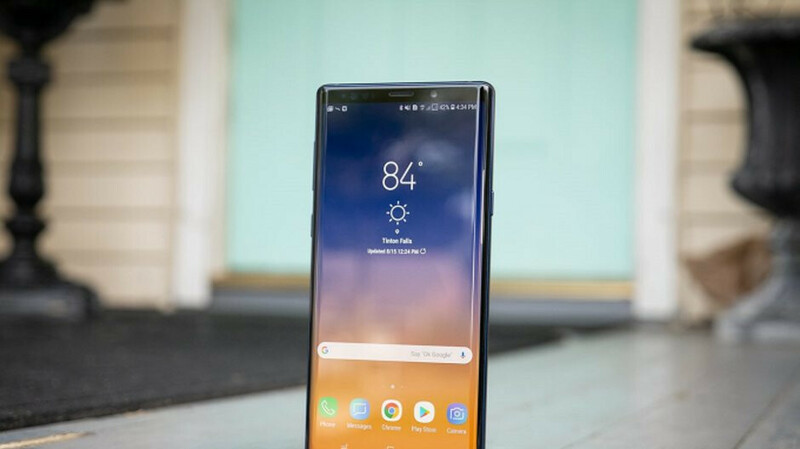 Samsung's smartphone operating profits are believed to have slipped by 20% during the quarter, compared to the same three month period last year. Samsung has only a 1% share of the Chinese smartphone market compared to Apple's 9%. But unlike Apple, Samsung is affected by lower sales of its processor and memory chips to Chinese smartphone manufacturers. These components make up more than 75% of Samsung's earnings and 38% of its revenue. The decline in Samsung's chip business is expected to drop operating profits in that division by 3.7% during the fiscal fourth quarter to the equivalent of $9.4 billion USD. Shipments of the company's memory chips are believed to have dropped by 10% during the three month period. China's economy is being affected by the current trade war with the U.S. Certain exports from China are being taxed, raising their prices in the states and dampening demand for these products. Don't be surprised the next day - Apple had an article, Samsung done, what the next big phone company? Xiaomi? "Slowdown in China is also also also impacting Xiaomi"
It tends to be OEM's with the highest priced phones being hit quiet hard. Chinese phones are sold for very reasonable prices in China. Than we shouldn’t complain about China’s slow down instead it’s the higher price with nothing new in every year new smartphone. And why do companies like apple and Samsung only think about year on year increase instead sometimes you can get less look yourself 10 to 20 years back and now . So they should stop crying. RIP Samsung! Next year, no more marketshare. Low and mid tier goes to chinese phones and high end is of course to apple. Samsung is losing market in the low-cost phone market. Therefore, the decline in revenue is natural.